I drove up to Zanpa Point yesterday afternoon to shoot the cliffs and hopefully get a sunset. The clouds ended up covering the sun as it neared the horizon but the colors were still pretty cool so I stuck around even as most people left. I had shot quite a few images and I wasn't getting excited about any of them and then something completly normal but unexpected happened. The light in the lighthouse came on. It took a few tries but eventually I got a shot with the light shining in my direction. Perfect end to a long day and many hours in this one location. 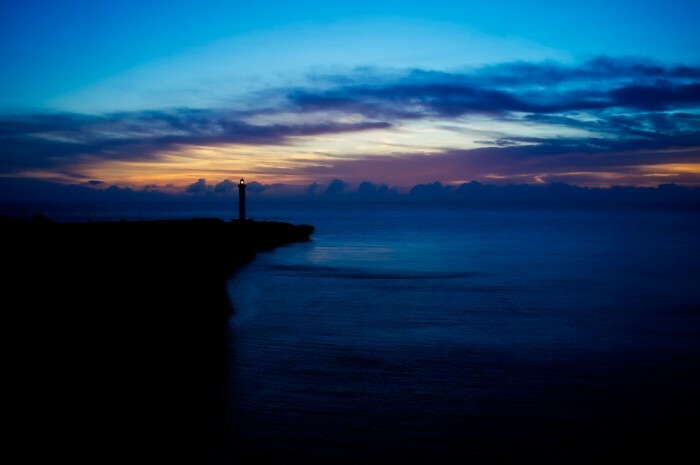 Sunset at Zanpa Point in Okinawa.